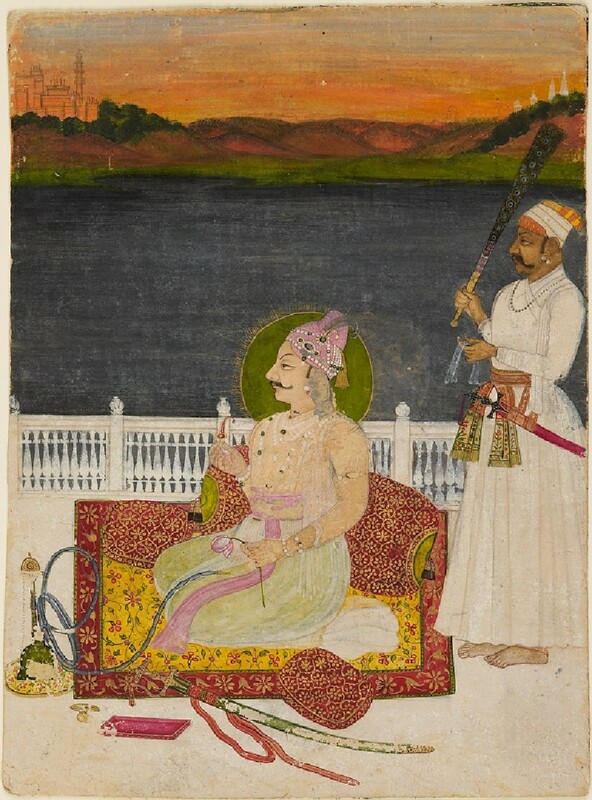 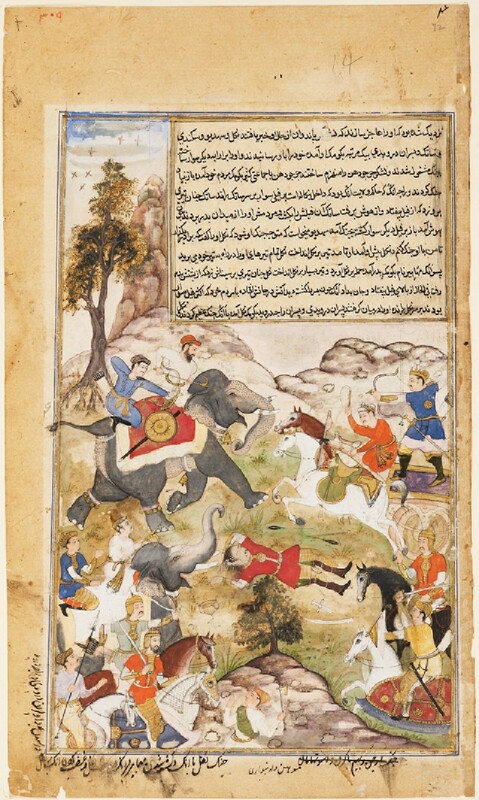 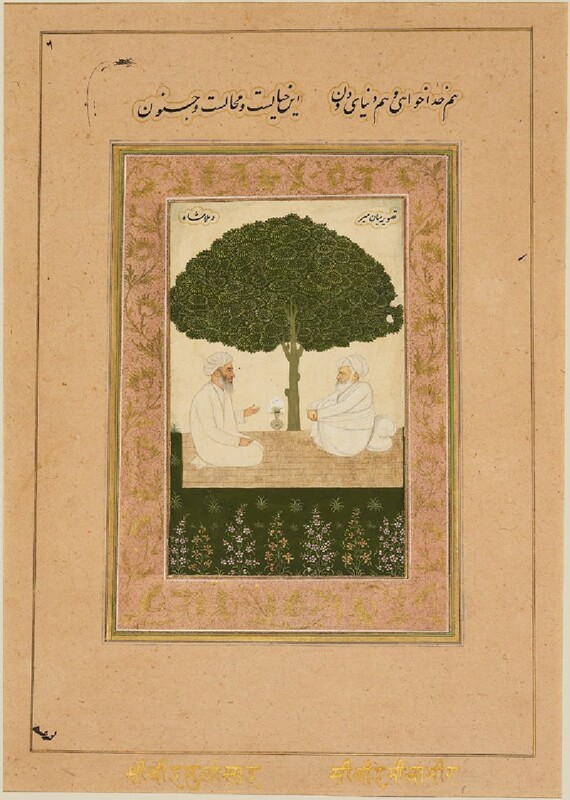 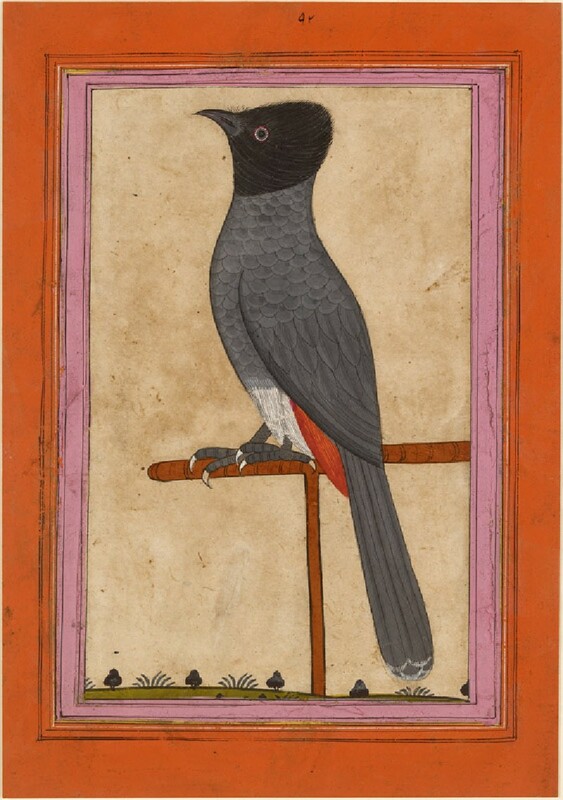 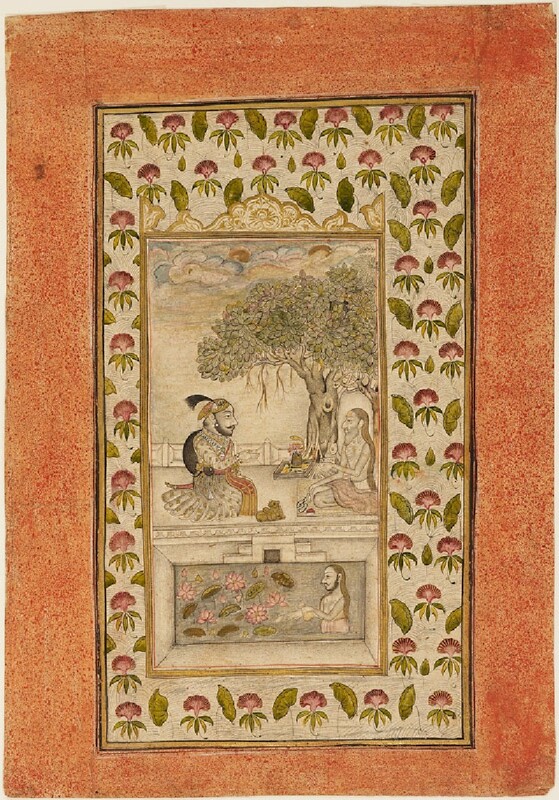 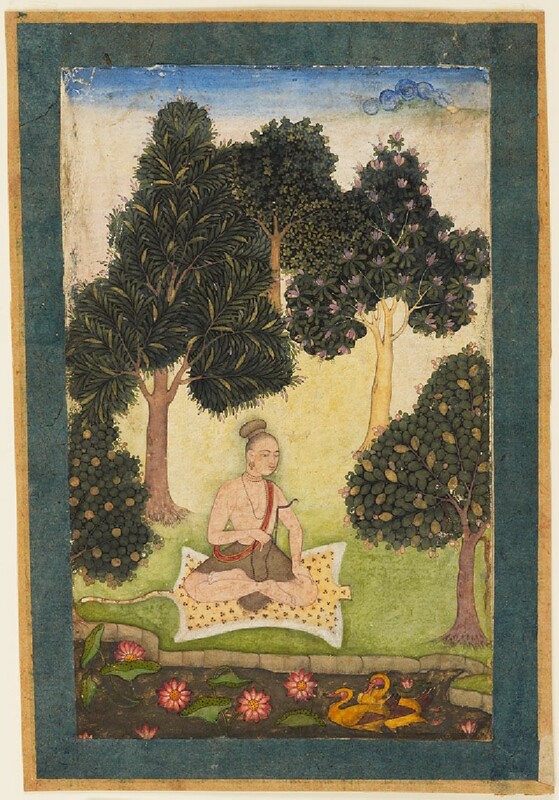 Under the emperor Akbar, Mughal artists developed a highly expressive style of manuscript painting, which combined Persian refinement and technique with Indian vitality and feeling for nature. 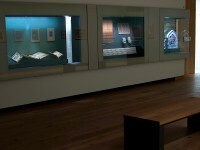 European influences, deriving from the study of imported prints, also began to appear. 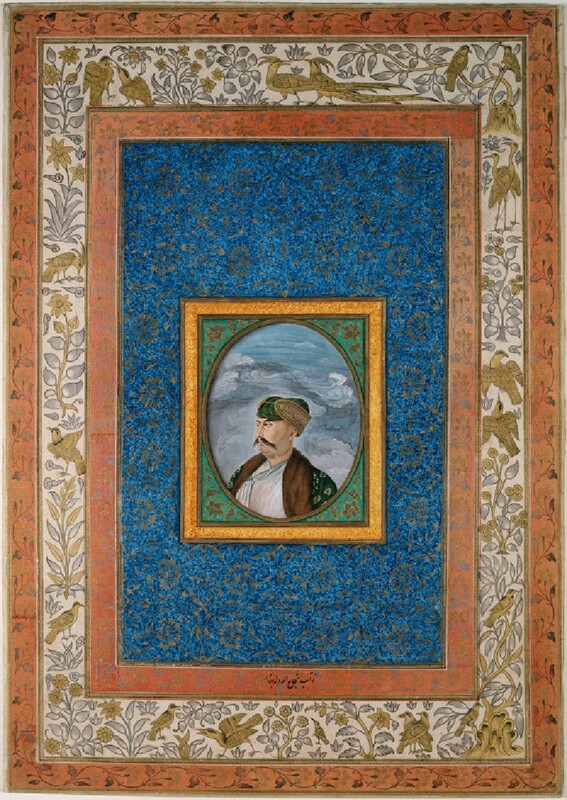 Portraiture of the rulers and their courtiers became an increasingly important art, especially under Jahangir (1605-1627) and Shah Jahan (1627-1658). 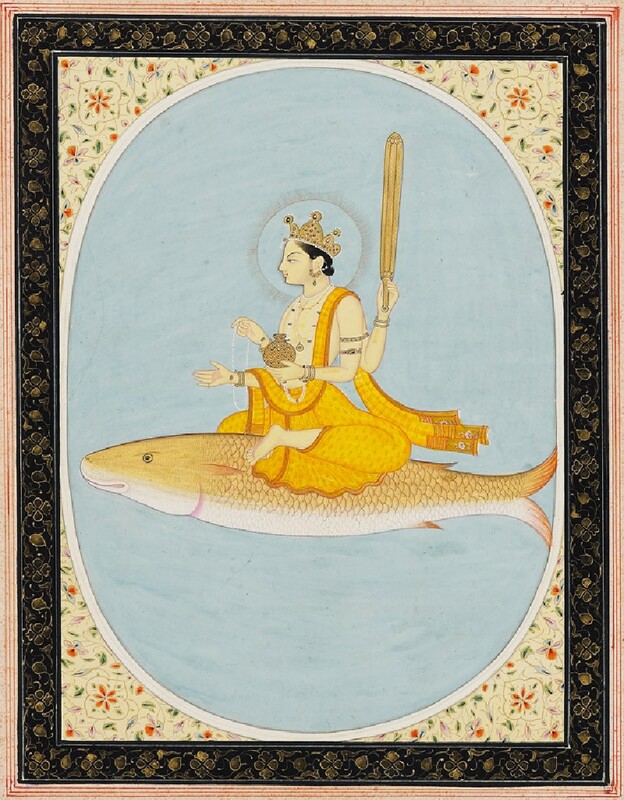 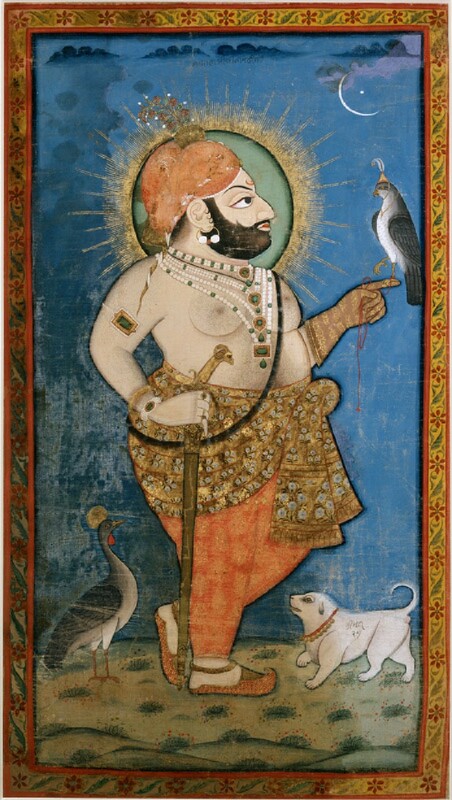 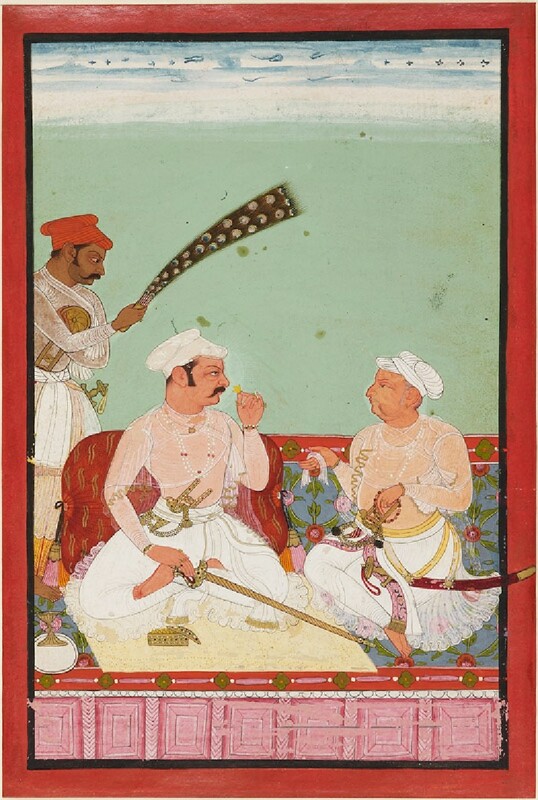 Many local schools of painting also flourished at the courts of the Rajput Maharajas or the Deccani sultans. 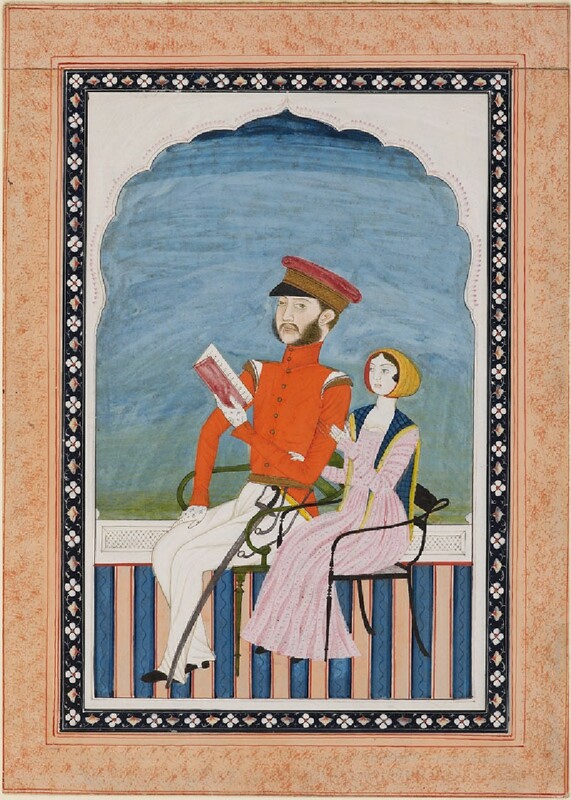 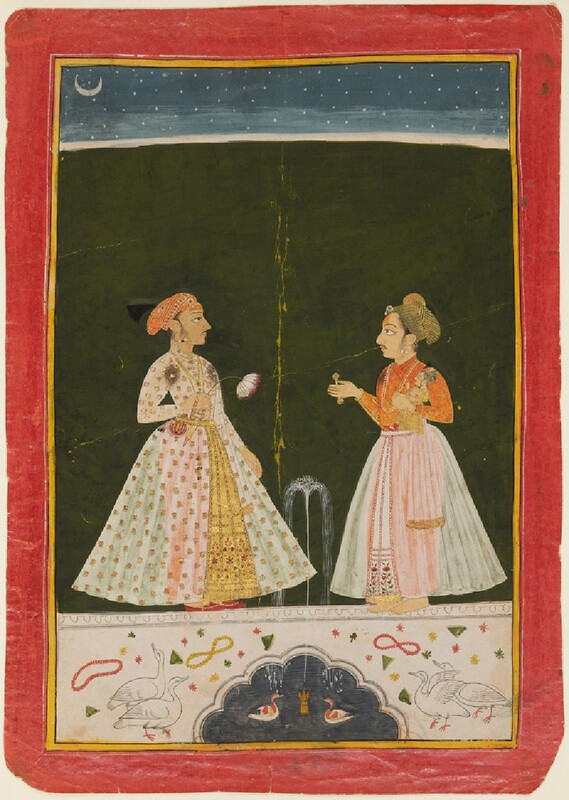 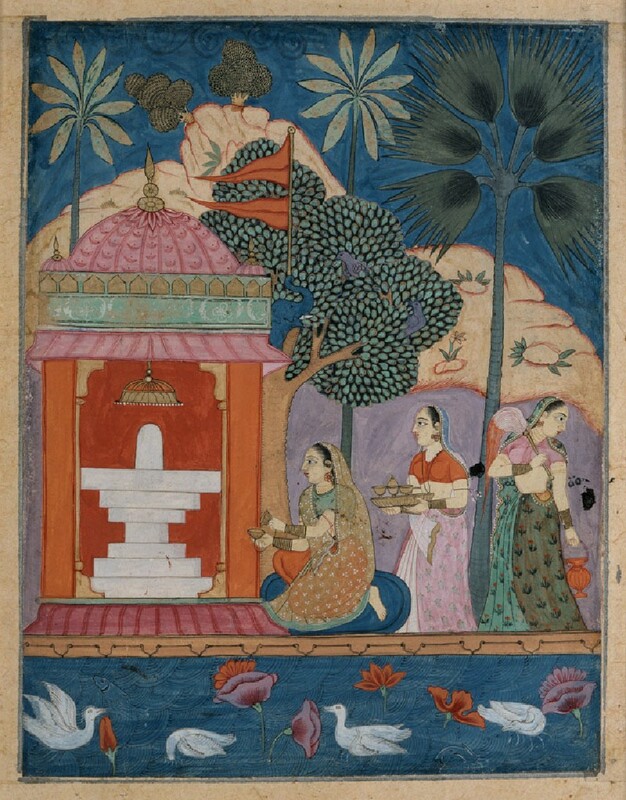 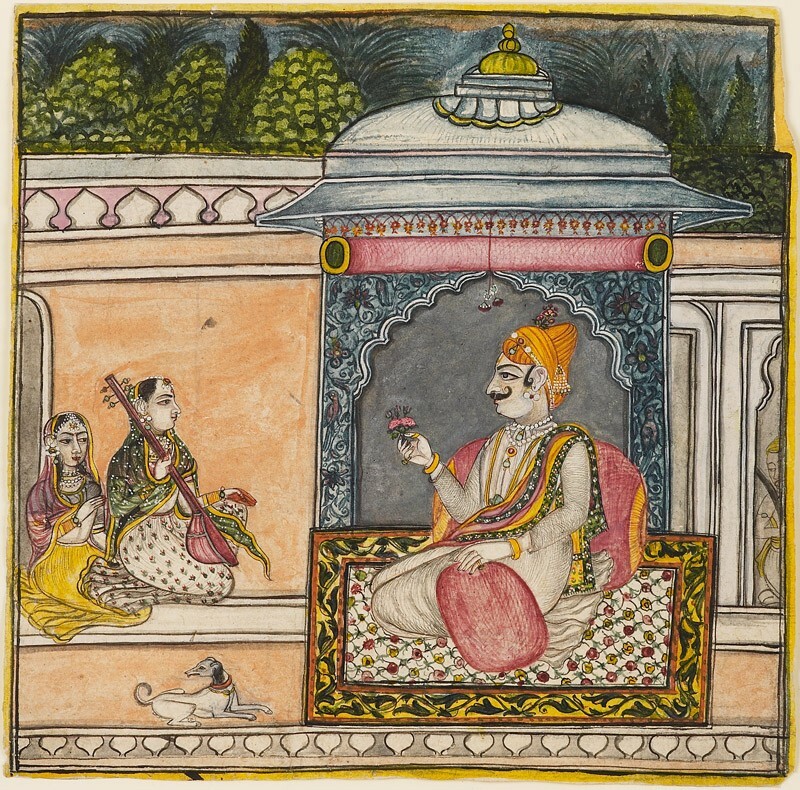 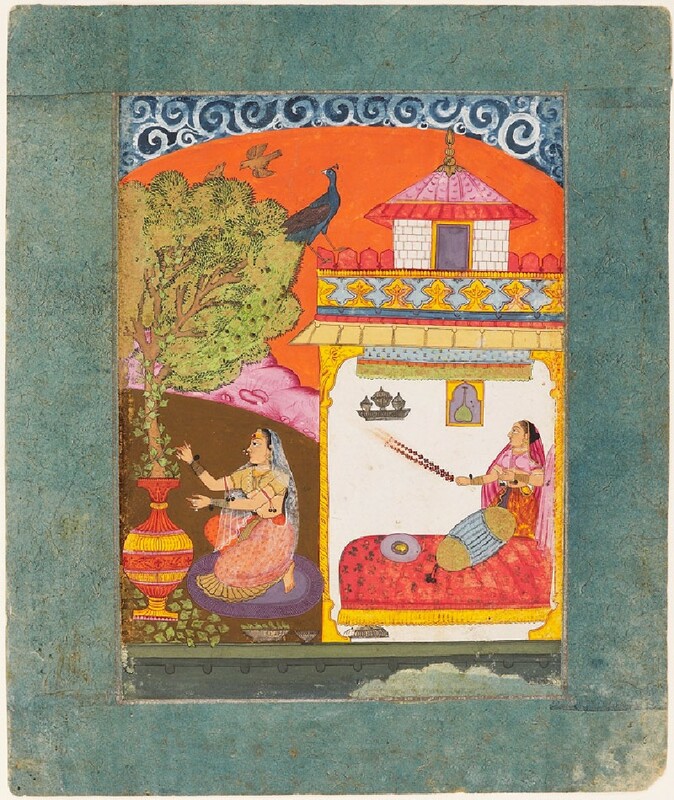 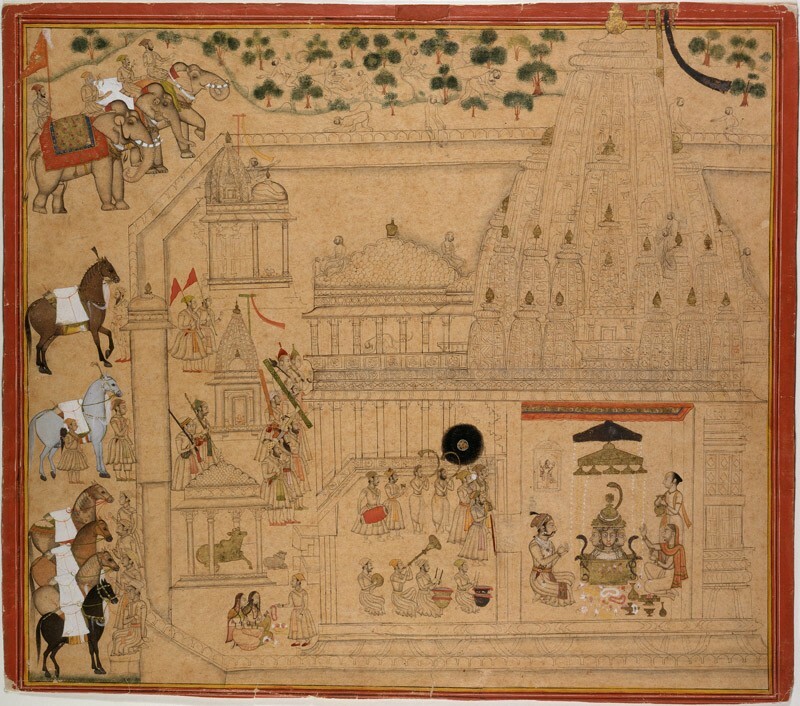 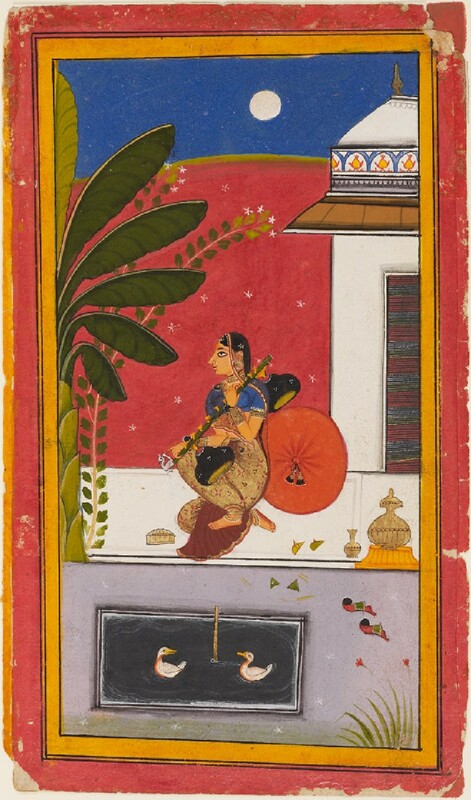 The Rajput royal patrons had traditionally favoured vivid and robust styles of manuscript illustration. 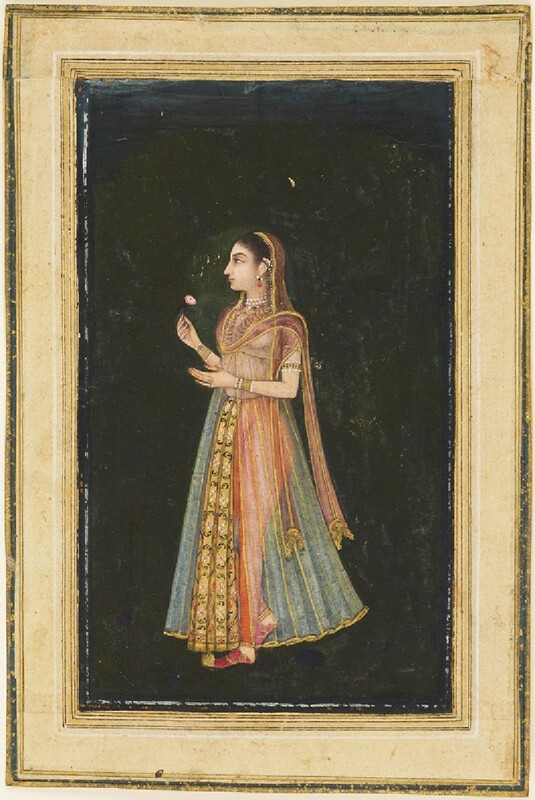 But by 1700, Mughal-inspired portraiture, adapted to the bolder Rajput taste, had become well established. 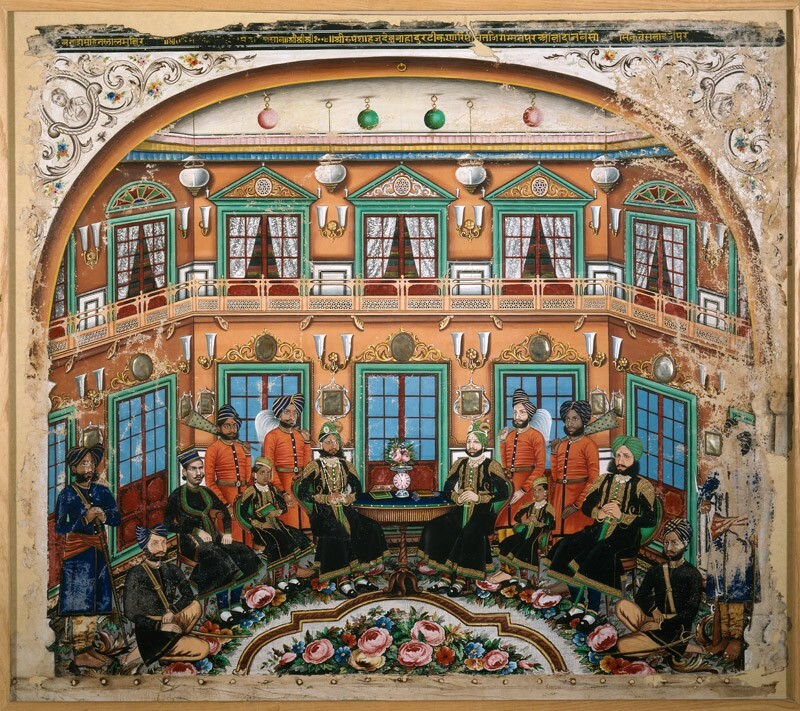 Scenes of court life or hunting became popular themes, sometimes treated in large-scale compositions that are full of lively detail.